02nd July 2018, New Delhi: GST came into effect on 1st July 2017 and it has since been 1 year of ups and downs. In this time many decisions were taken by the GST Council to ease the pressure that was created, including lowering tax slabs, extensions for filing GST returns and much more. 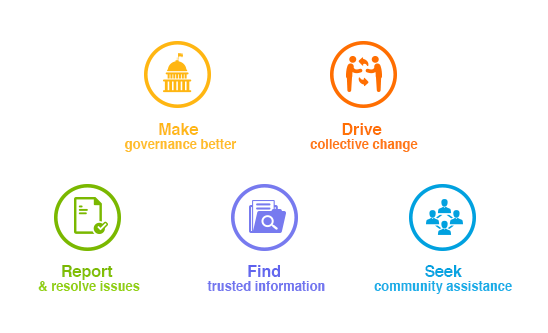 LocalCircles conducted a detailed survey to understand business and citizen perception of what is actually happening out there. The survey comprised of 4 polls and received more than 13,000 responses. 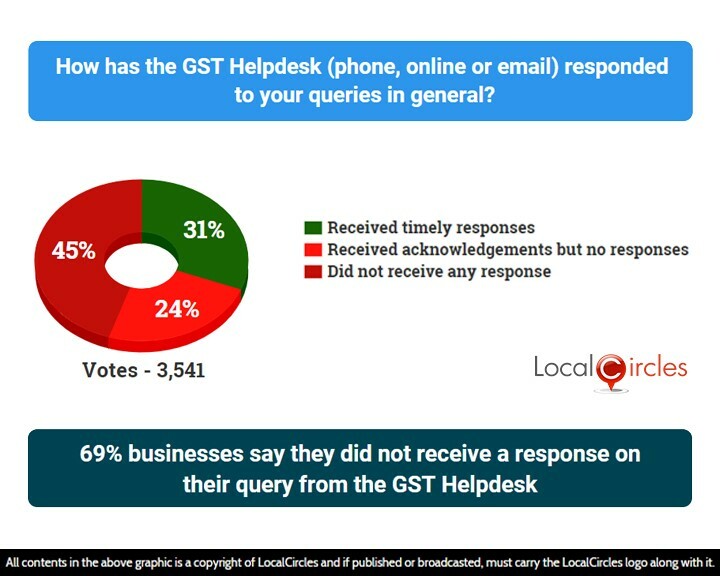 The first question asked how has the GST Helpdesk (phone, online or email) responded to their queries in general. 31% said they received timely responses, 24% said they received acknowledgements but no responses, while 45% said they did not receive any response. The government had set up GST helplines to help various traders, businessmen, manufacturers and suppliers cope up with the confusion around GST implementation. The GSTN helpdesk and the CBIC Mitra Helpdesk have been contracted for a period of five years and seven years respectively. 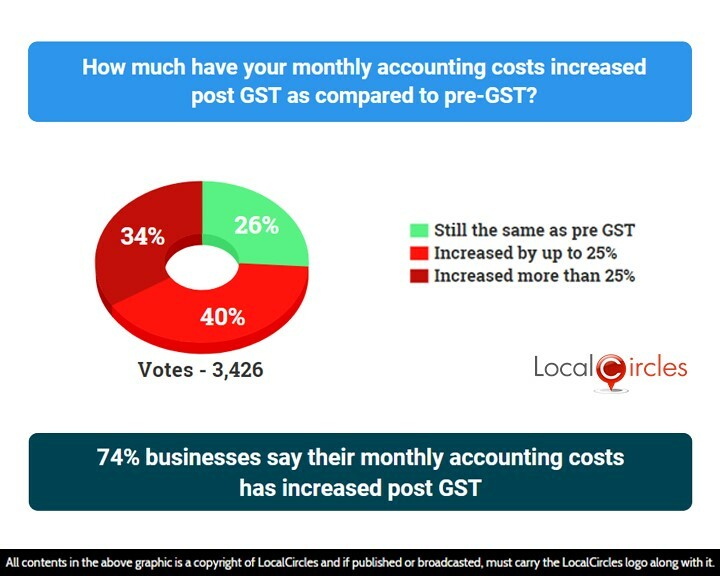 The results of the second poll showed that for 40% businesses the monthly accounting costs have increased by up to 25% while for 34%, it has increased by more than 25%. 26% businesses said that it is still the same as pre-GST. The next question asked citizens what is the biggest difficulty being faced by them in filing GST returns. 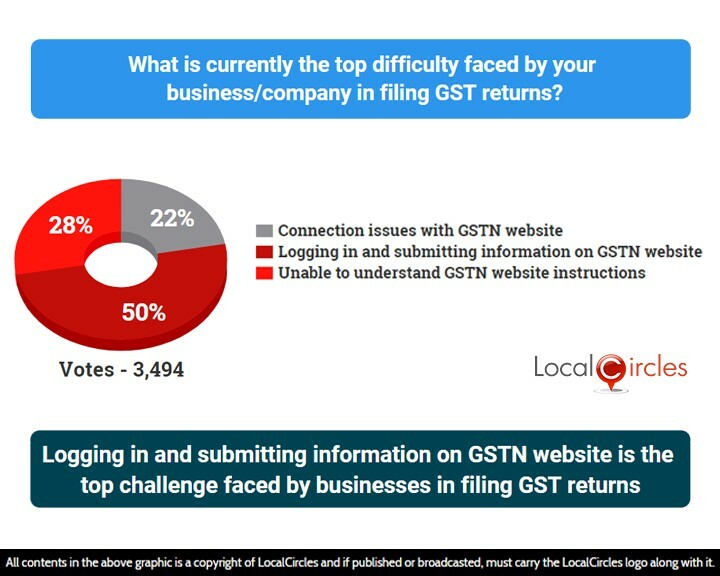 50% said logging and submitting information on GSTN website was the main issue while 22% said internet and connection issues with GSTN website bothered them the most. 28% said they were unable to understand the GSTN site information which was creating problems for them. The last question asked startups, SMEs, service providers or business heads how much time they were spending on GST compliance. 29% said they were spending same time as before on GST compliance while 21% said they were spending marginally more time. 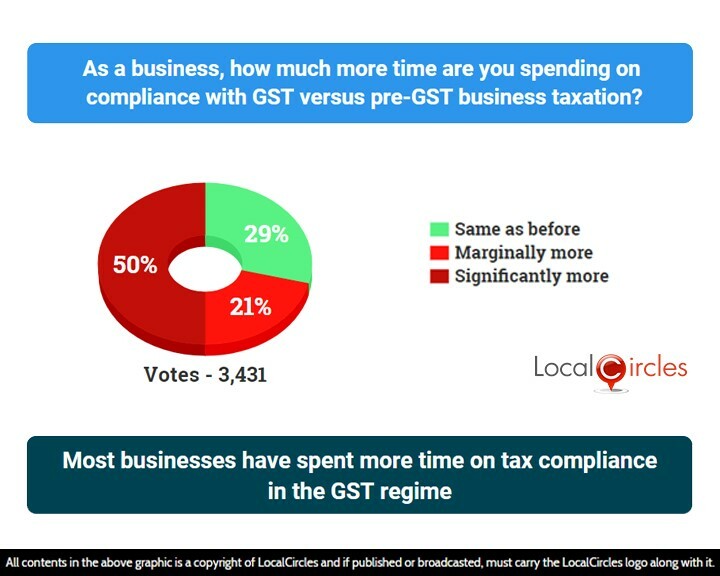 50% said they were spending a significant amount of their time on GST compliance. Though the intention of GST was to simplify tax regime, issues like double taxation, misplaced transitional provisions, credit blockages, uncertainty on reversal of credit etc. made the implementation of GST tougher. 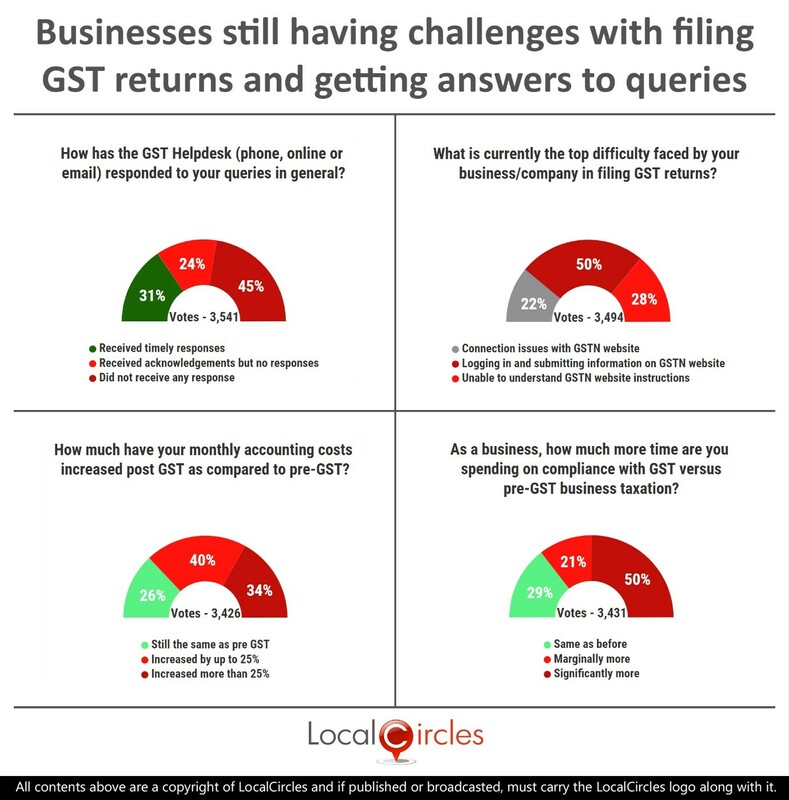 Many startups and SMEs had also reported on LocalCircles that the GSTR filing process is lengthy and time consuming due to which they are not able to give enough time towards running their businesses well and are suffering losses.